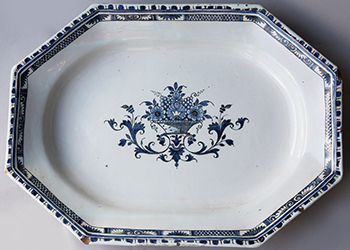 Faience, or tin-glazed and enamelled earthenware, first emerged in France during the sixteenth century, reaching widespread usage among elite patrons during the seventeenth and early eighteenth century. 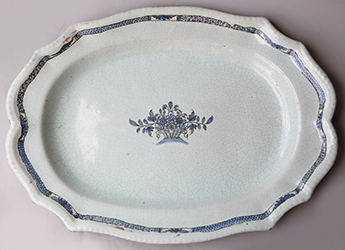 While faience can be created from a wide mixture of clays, it is foremost distinguished by the milky opaque white colour achieved by the addition of tin oxide to the glaze. 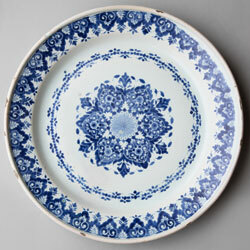 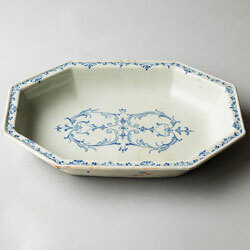 The first porcelain produced in France was soft paste and made in the faience factories. 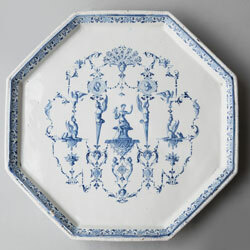 Originally the pieces imitated the Chinese patterned blue and white, however the factories of France soon began to develop their own style in the baroque and rococo. 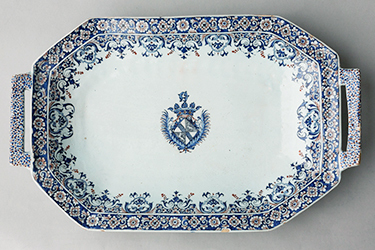 In the mid 18th century Louis XV took control of the Vincennes factory, which later became Sèvres, the most prominent porcelain producer in Europe until the end of the 18th century. 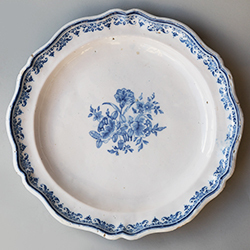 Soft paste preceded hard paste which was not in production until 1770.